There will be some Bromley children missing out on Christmas for various reasons such as spending Christmas in the care of social services or in a hospital bed. Would you like to help pop a smile on the face of one of those children? 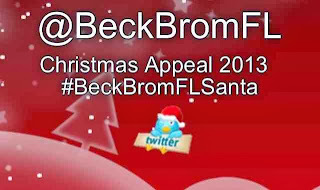 The #BeckBromFLsanta appeal is hoping to raise as many smiles as possible, after all, a lot of little random acts of kindness will make a big difference. Can you buy an extra £5 gift for a Bromley child in need of a Christmas smile? The 2013 Christmas Appeal is working with several Bromley based charities. Lynda at Bacarat hair, beckenham will email you to let you know what type of gift to buy. But be quick! 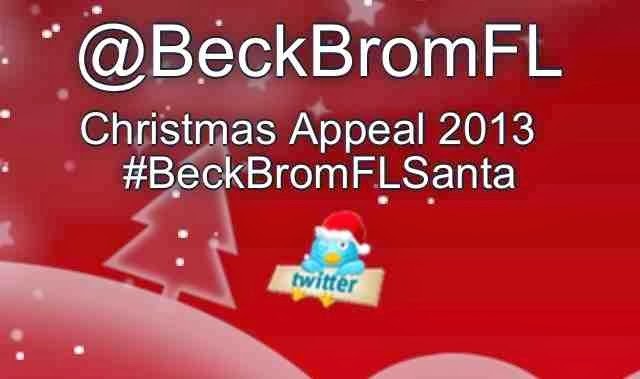 Gifts need to be donated by the 5th December 2013. Collection points are Bacarat Hair in Beckenham or Bar Sport in Bromley.